A day on the range. 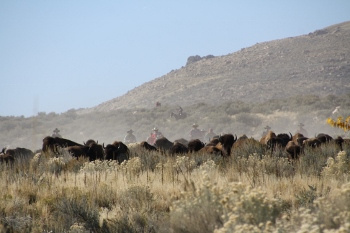 Yes, those bison look like they're coming right for us, but those cowboys knew what they were doing and turned them west. Another adventure. 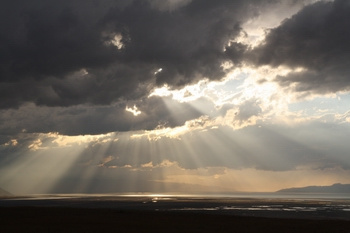 This one close to home - on Antelope Island. 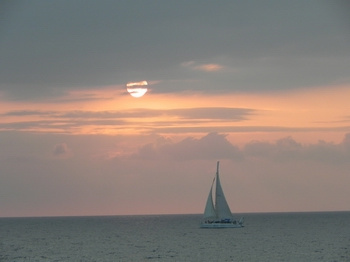 Here's another Kona sunset, this a few Novembers ago. 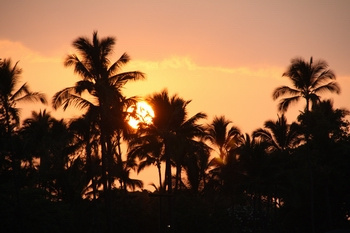 We were watching the Kona Coffee Festival parade in one direction, while in the other, the sun was setting behind palm trees over the bay. What a way to end a day! So, you might guess that pictures from a few Novembers ago are not the "latest" anymore. Truth is I like these soooo much I don't want to remove them for what is truly the latest. So I'll leave them up and add one closer to home. In fact, just a couple of blocks away. I grabbed my camera and ran when I saw this sky waiting for me. Just had to find a place with no distracting foreground and I made it -- without running into anything! Pictures like these are how we know we have a loving Heavenly Father, who is there, even in storms. Check out my most recent posts on my blog: http://louise-r-shaw.blogspot.com. Enjoy! We spent two weeks in February, 2016, exploring Southeast Asia, including Malaysia, Cambodia and Thailand. Amazing sights. Beautiful people. Keep checking back for more photos and insights. Hopefully there will be more soon!